The Brewer's Ball is an event for Florida craft beer lovers. 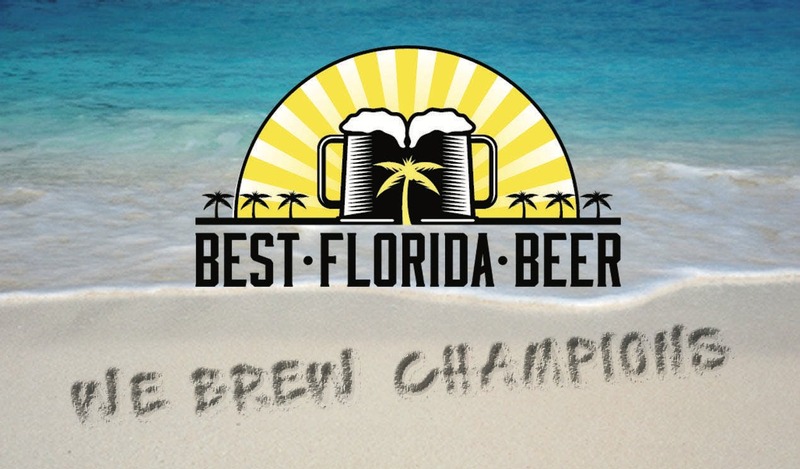 All of the Best Florida Beer Championships category winning commercial beers made in Florida are showcased during an afternoon of Florida's best beers, music, awards, and one of the best beer raffles in Florida. This festival features over 100 of Florida's Best Beers on tap! We will have East Coast Catering on site serving food from 11:30am to 4:30pm. Each ticket comes with a food ticket. Each food ticket can be exchanged for a food item. Winners will be given medals and trophies for winning beers and for the best of show for the professional competition. The event is rain or shine. Lawnchairs are allowed. Same as last year, no glass containers of any kind. Service animals are permitted, but other canine friends should be left at home. Don't drink and drive. Arrange a safe way to get home prior to coming to Brewer's Ball. BFB will have pre-paid codes for Uber/Lyft to enusre attendees get home safely. Please do not drive. Designated driver tickets are available at request. What is the inclement weather policy? Event is rain or shine. This is a city park, so covered space is limited. Bring rain gear, sunscreen or whatever else you need to be comfortable. Will I be able to buy tickets at the gate? No, All tickets will be sold in advance. There will be no tickets available day of.What is included with a VIP ticket? VIP attendees will be allowed early entry one hour prior to GA attendees. VIP attendees will also get plastic drinkware, a Brewer's Ball shirt, a VIP lanyard and program, and admittance to our new VIP area sponsored by MYBOX and Greaves Construction, Inc.